A relatively-unknown and mysterious archaeologist is interested in restoring the temple found beneath the Digsite, but the resident expert there is suspicious. Can you help restore the long-lost temple? 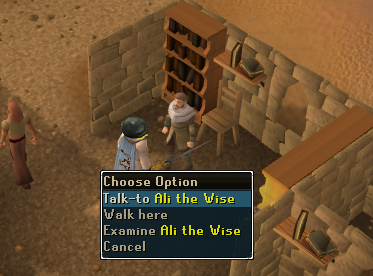 Ali the Wise has been talking to one of his 'old friends' - a certain Dr Nabanik - about your various dealings with the mysterious Mahjarrat. As a result, Dr Nabanik thinks you would be the perfect candidate to aid him in his restoration of the temple beneath the Digsite, but to what end? To begin the quest you need to travel to Nardah and speak to Ali the Wise. 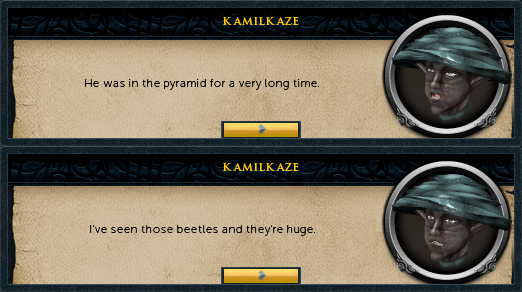 Ali will begin inquiring about Zaros and Zamorak. He'll explain how he was speaking to a Dr. Nabanik at the Digsite and the doctor knew you and requested your assistance. You need to head out to the Digsite and Ali will wisely give you a Digsite Pendant if you ask for one. Dr. Nabanik will be waiting for you outside of the Digsite Exam Center. He will explain that he is actually Azzanadra from the Ancient Pyramid in Desert Treasure. Make sure to use all of the dialogue options when talking and Azzandra will reveal that he wants to rebuild an altar underneath the Digsite. 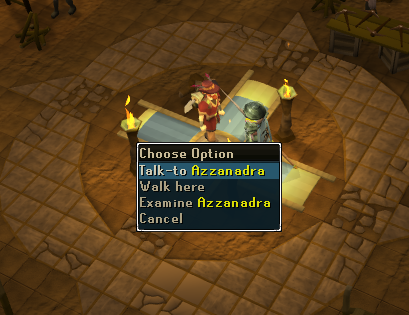 With the altar built, Azzandra will be able to contact Zaros. The catch is that he needs a certificate to be able to begin and he doesn't have the credentials. He needs you to go to the Archaeologist Expert and vouch for his credentials by being his reference. Go inside the Exam Center and talk to the Archaeologist Expert. There are several dialogue choices available for you to use to convince him to give Azzandra the credentials. The options that refer to your quest experience with Azzandra in Desert Treasure and saying how he was practically living in the pyramid will give you an honest and satisfactory recommendation. Now that you've proven that Azzandra is well qualified and given your assurances, the Archeologist Expert will see it fit to give you that much needed certificate. Head back to Azzandra and give him the certificate. He wants you to meet him at the site of the altar and will graciously provide a rope for you to access it. Walking North of the Exam Center, look for the winch in the North-West region of the Digsite. 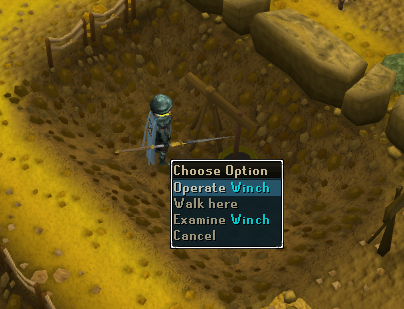 Use the rope on the winch and you will now have the option to operate it. Operate it. Azzanadra will be at the altar and will wish to speak to you. Make sure to use all of the dialogue options and he will explain that all he needs are two items. One is a Barrows Icon and the other is the Frostenhorn. You will receive a ruined backpack. It holds two items that will help you. The first is a Heat Globe and the second is a Battered Letter . Reading the letter will reveal some clues on how to retrieve the Frostenhorn from its resting place in the Ice Fortress. It hints at items needed but that were just out of reach. In case you were wondering, it means you should bring telegrab runes. Now ask Azzandra about each mission. If you don't then you can go and do everything but the items won't be there. Ask him about both of them and then you won't have to return to him until you have recovered both the Icon and the Frostenhorn. You can retrieve them in any order that you want. In order to retrieve the Barrows Icon, you must first kill all of the Barrows Brothers and then loot the chest. You do not have to kill them all in one run so you can resupply after each of the Brothers if you wish. Just make sure not to open the chest until they are all dead or the Icon will not be there and you will have to do it all over again. 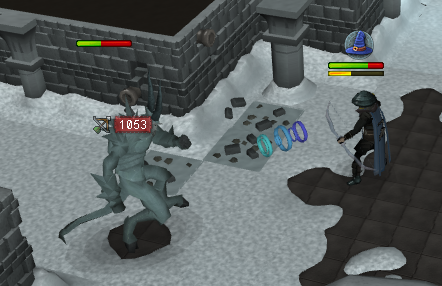 You will need to prepare to face off against a level 98 Ice Demon that uses attacks with melee, range, and magic. A good set up involves you praying against the magic and using armor with a good range and melee defense to protect against that. He has a fairly high defense level and cannot be safe spotted. He is apparently weak to crush and stab attacks but is strong against slashing weapons and cannot be poisoned. 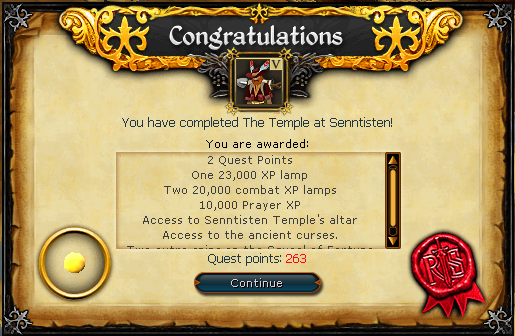 On top of this, he has a fairly high defense level, so a prayer potion might be necessary for lower prayer levels. There are also Iron and Steel Dragons in the Fortress so you will want to take an anti-dragonfire shield to protect against their attacks. Telekinetic Grab runes and a hammer can be looted from the crates in the Ice Dungeon maze but it is easier to just bring them yourself. At least twenty five casts is a safe bet. You can also bring a teleport with you because, while you do have to travel through it, the Fortress is not actually in the Wilderness and it will be much easier to teleport back out. 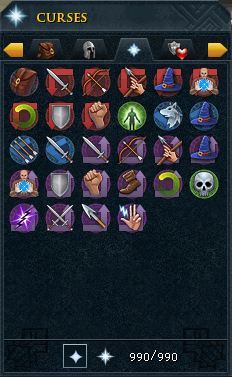 If you bring excess Telekinetic Grab runes, a Camelot teleport is available for you to use. Finally, bring that Heat Glob you received earlier. You now should be prepared for what lies ahead. 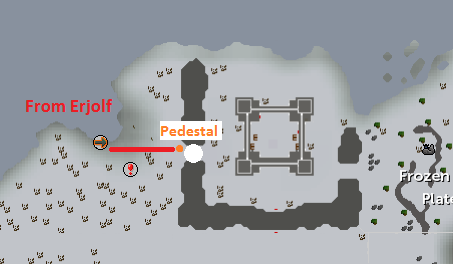 To get to the fortress, use the fairy ring code DKS or Fremmenik Province lodestone and run north into the Rellekka Hunter area to Erjol, found on the western side. Travel using the canoe next to him, then run east to the pedestal. Now you can't just run into the fortress and wreak havoc searching for the Frostenhorn. Preventing this is a large ice block. 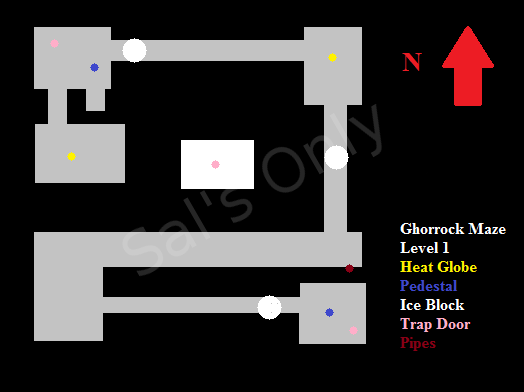 To get past this you must use the heat globe on the pedestal that is located just west of the ice block. The heat globe will melt part of the ice block giving you the option to squeeze-past it. Make sure you have your anti-dragon shield on (even though the dragons are not aggressive) and head towards the south of the keep. Go through the arch that leads you to the courtyard. Climb up the stairs that are on the southern rampart. Heading east along the rampart towards the corner of the keep in the southeast, you will see some stairs. Climbing down them will place you in the courtyard. North of the nearby door is a damaged wall. Climb up that wall, head north on that rampart and then west along the rampart to the north until you reach the smashed rampart and climb down it. A trap door will be there and that is your ticket into Ghorrock and the maze inside it. Basically you will be using heat globes on pedestals to melt ice blocks just like in the beginning. Pick up or telekinetic grab any that you see so you won't have to double back and worry about missing one. 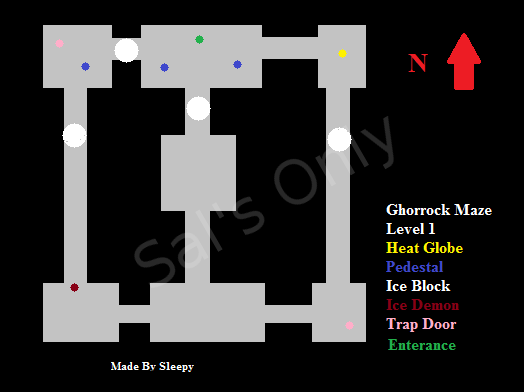 Using heat globes on pedestals, you must melt the ice so that you can continue through the dungeon. It's advised that to pick up or telekinetic grab all the heat globes you can before exiting. This is to save you some time. You will start in what seems to be a set of three rooms, standing from east to west. The room to the west has ice blocking it. You will be standing in the middle room and have the passage to the eastern room open. Run to that room to the east and pick up the heat globe from the pedestal. Now return and head west to the middle room. 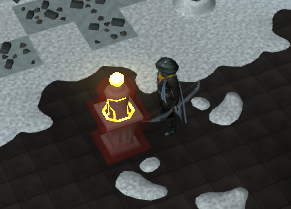 Using the heat globe on the pedestal that is closest to the western room will melt the ice and release a waterfiend. Get inside the western room and cast Telekinetic Grab on the heat globe inside the other room. This will give you the globe in your inventory and lock you in the room. You should notice that what was previously a waterfiend has now been transformed into an icefiend. Hopefully he'll be on the other side of the ice block, saving you time and resources. 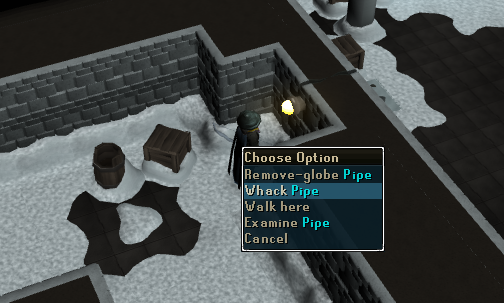 Now all you have to do is use the globe on the pedestal that's in the western room and some ice will melt revealing a trapdoor with a ladder to the next floor. Just watch out for the waterfiend that is released and go down the ladder. Going south from the room you start in, you should obtain the heat globe that's on the floor there. Now put the globe on the pedestal in the room where you came from to melt the ice blocking you to the east will be gone. Going into the next room will show you a blinking pedestal. This is because the heat globe on it is imperfect. Take it off the pedestal and go back to the heat globe from the previous room. Go back up the ladder and take the globe that is on the pedestal in the western room. Now head to the middle room and go up the staircase outside the trapdoor. Now that you are outside of the trapdoor, head westerly and go up the damaged rampart, heading east to the northeastern corner of the northern rampart. There you will see a broken globeholder right beside the smashed pedestal. 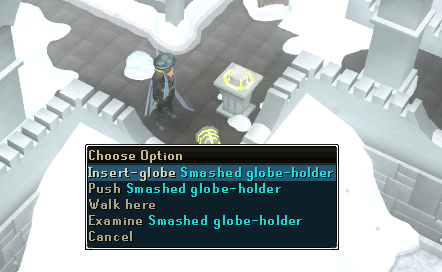 Now use the imperfect heat globe on the broken globeholder. This will turn the area icy. Right click on this new contraption and choose the push option. This will make it slide down the hole that is in the center of the courtyard. Now go back down the rampart and the trapdoor to the first level and navigate through it like you did before. Place a globe on the pedestal on the first on the second floor and go through the snaking passageway. You will see three pipes on one of the walls. Use the globe on the pipe in the southeast corner. It will then get stuck but, don't worry because, if you are reading this guide, you should have brought a hammer! All you need to do is use the hammer on that stuck globe and it will pass through that pipe faster bad Chinese food through the human digestive tract. This will melt the ice block blocking your way, release a waterfiend unveil a ladder. Simply run to it and voila. Now head west until you see the Ice Demon. Now it is time to face the level 98 Ice Demon. You should be prepared if you brought everything from before but here are some tips. Since you can't safe spot him and he only uses his range attacks from afar, run up to him as soon as you can. He uses many different spells including ice barrage-like spells so, as mentioned earlier, protect from magic is recommended. Kill him and he will drop what you came here for, the Frostenhorn. Now you are done with this cold, forgotten fortress and can teleport freely back to Azzanadra. Now take your Barrows Icon and Frostenhorn with you to the Digsite and head back to the winch from which you came from. 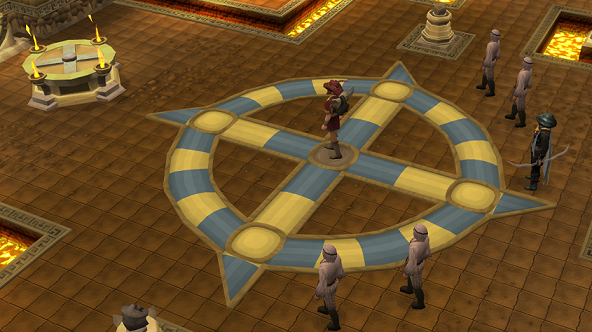 Azzanadra has been hard at work and has finished restoring the altar. Talking to him will reveal what exactly each item is and why they are needed for the altar. Azzandadra will also explain that he had one of his “other” agents obtain the third item that was needed. You must go retrieve it from him but it’s not too bad. He is waiting by the winch outside. You will have the grand reveal that this agent was the assassin from Devious Minds and the item was the relic that you helped him steal from Entrana. Go back to Azzanadra and the ritual will begin. You'll have the privilege of watching a cut scene where Zaros will communicate with Azzanadra and the ripples of this new connection will be seen across Gielinor. Now just talk to Azzanadra and you'll be done. The Ancient Curses are a separate set of prayers and different from the standard set of prayers, and are achieved at the completion of The Temple at Senntisten. When the quest is done and you've read the Ancient Hymnal, you can access to the Altar of Zaros. This altar will boost your prayer level by 15% of your prayer level and give you the option to switch between the standard prayers and the Ancient Curses. The altar is the one that Azzanadra restored beneath the Digsite. The Curses are within the level ranges of 50 to 95 and offer curses that give boosts to combat skills, curses that drain stats from your opponent, and curses that act as damage recoilers. When you pray at a normal altar, you will restore your prayer points and have the option to switch to the original prayers. Deflection curses work similar to protection prayers. They both protect you from 100% of the damage you receive of that type in PvE and 60% of that type in PvP. You also can't have multiple turned on at once. The difference is that deflection curses also deflect some of the damage that you would have been dealt back at whatever attacked you. This can't be used to hurt monsters that can only be killed a certain way, but they are still very useful. Sap curses lower the levels of your opponent's stat that corresponds to the curse while leech curses do that and give you a boost in whatever stat is being lowered. They start out draining and boosting at a set amount and then increase to larger set amount later in the fight. You can have multiple sap and leech curses active at once but you can't chain curses of the same type together. The other curses are straight forward and/or replace (with a bit of a bonus) the prayers in the old prayer book. Berserker lets your boosted stats last 15% longer. Protect item protects your highest lost item, that was previously unprotected, on death. Wrath deals damage based on your prayer level to your opponent when you die, in the same manner as retribution. Soul split is similar to smite. They both cause your opponent to lose one prayer point when you deal damage. The difference is that it takes fifty points of damage, but you gain ten life points, from soul split and forty points of damage, but regain none, for smite. Turmoil (melee), Anguish (ranged), and Torment (magic) gives you a 15% boost in both the respective offensive stat and defense but also increases them by 15% of your opponents offensive and defense levels. It also provides a whopping 23% boost to strength plus 10% of your opponents strength level. It cannot be combined with a leech or sap curse and its affects will apply in both PvE and PvP situations. You can only employ Soul Split, Wrath or any one Deflection curse at any one time. Protect item, berserker and turmoil curses will show animations when they have been activated. [^] Complete the first floor of the maze. [^] Complete the second floor of the maze. [^] Kill the level 177 Ice Demon to obtain the Frostenhorn.